DETROIT - A 17-year-old Detroit prep football star accused of assaulting a teenage girl entered a not guilty plea Tuesday on a probation violation, reports CBS Detroit. 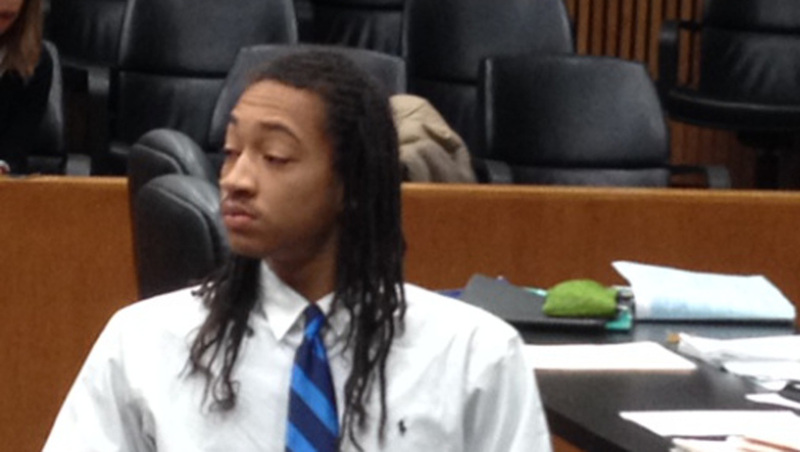 Jayru Campbell had been released from jail just a few hours prior to Friday's incident, when the teen allegedly assaulted a 17-year-old female student at Cass Technical High School after she wouldn't allow him to read text messages on her cell phone, according to the paper. Campell, who was a star quarterback at Cass Tech, had just finished serving a 60-day jail term for body-slamming a security officer in a hallway at the school on Jan. 22. That confrontation was recorded on video. The teen, who is accused of violating the terms of his probation, made a brief court appearance Tuesday morning in Wayne County Circuit Court. Prosecutors have charged him with assault and unarmed robbery in connection with Friday's incident. The station reports a not guilty plea was entered on Campbell's behalf and a judge set a hearing for Sept. 26. CBS Detroit reports Campbell's record could have been expunged under the Holmes Youthful Trainee Act if he met certain terms, such as attending counseling and anger management classes, passing drug tests and completing 75 hours of community service. Given the new allegations, it is unclear how the latest charges might impact his eligibility. Campbell led Cass Tech to state championships in 2011 and 2012, according to the station. He had verbally committed to play for Michigan State University prior to the body slamming incident, but later changed his mind.